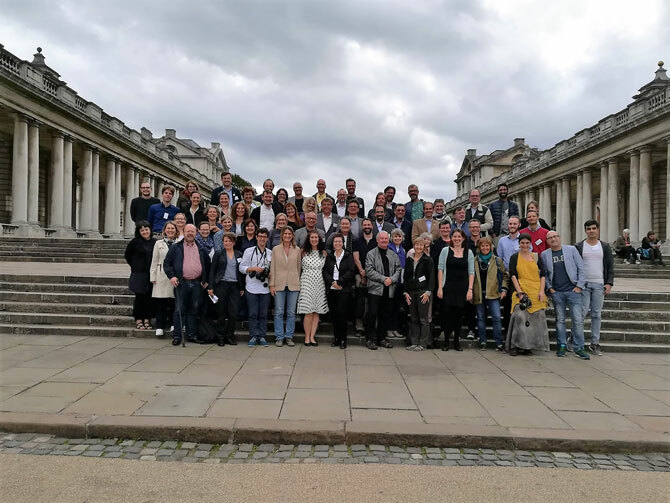 The annual International Federation of Landscape Architects (IFLA) Europe General Assembly took place in Greenwich (London) from 6 – 9 of September 2018 and included the conference ´Valuing Landscape, connecting people, place and nature´. Iñaki Viñuela, as member of the board of the Spanish professional association ´Asociación Española de Paisajistas` AEP, participated in the event, together with the international delegate, to represent Spanish landscape architects at the General Assembly. Each year, the General Assembly is held in a different place chosen by the national associations that form part of IFLA EU. The event also offers parallel activities such as guided tours of landscape interventions in the host city, exhibitions, presentations and lectures of interest to the IFLA representatives but also to the public in general. This year 34 national delegates and representatives attended, to discuss the different items on the agenda. The program can be consulted here: http://iflaeurope.eu/general-assembly-greenwhich-uk-6-9-september-2018/. The General Assembly is where developments of the different working groups are presented: education, professional practice, communication, presidency and finances. It is also where there is a sharing of experiences on common issues and debate on how to tackle challenges for the profession. There is also time for a meeting of national presidents, and on this occasion for the specific meeting of the recently created group Med Net for the Mediterranean area. 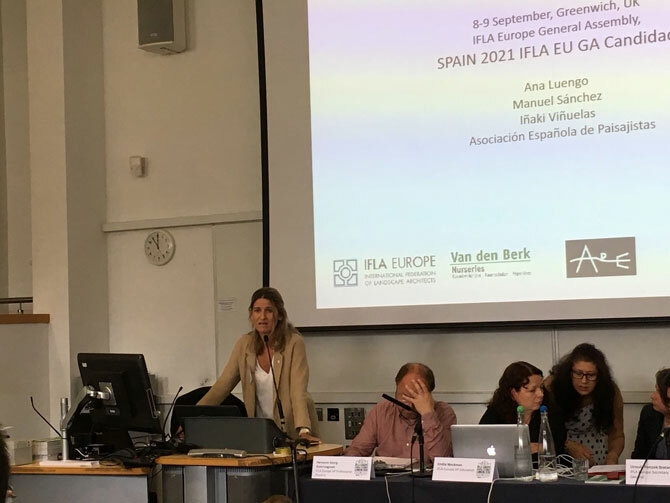 This was an intense meeting for the Spanish delegation, being the third time there was a bid for the IFLA EU General Assembly. Finally, with support from nearly all national associations, Granada, Spain, was approved as the location for the 2021 IFLA EU General Assembly. With this good news, the delegation has returned with the satisfaction of a job well done and the responsibility of organizing a general assembly to meet expectations, and that it serve as a push to advance the profession in Spain and for all the landscape architects that form part of the national association.